with most of the baby “to-dos” crossed off my list, what else was i supposed to do but dink around online and find cute-but-impractically-priced baby clothes? these bloomers from j.crew were among the items i suddenly decided that i desperately needed. you have to understand that here in iowa, we are still in the dregs of winter, and the idea of it being warm enough to dress a baby in nothing but a white onesie and these adorable bottoms was all i needed to click “add to basket” … but then, there was the price, which was around $25 to $40 each. and after finally getting all the baby equipment we needed (this process took a couple months, and i had started to shudder every time we passed by the infants section at target) i was really done with spending money on miniature-sized items that we’ll only watch our baby grow out of over the next couple months. so, onto the next best thing. 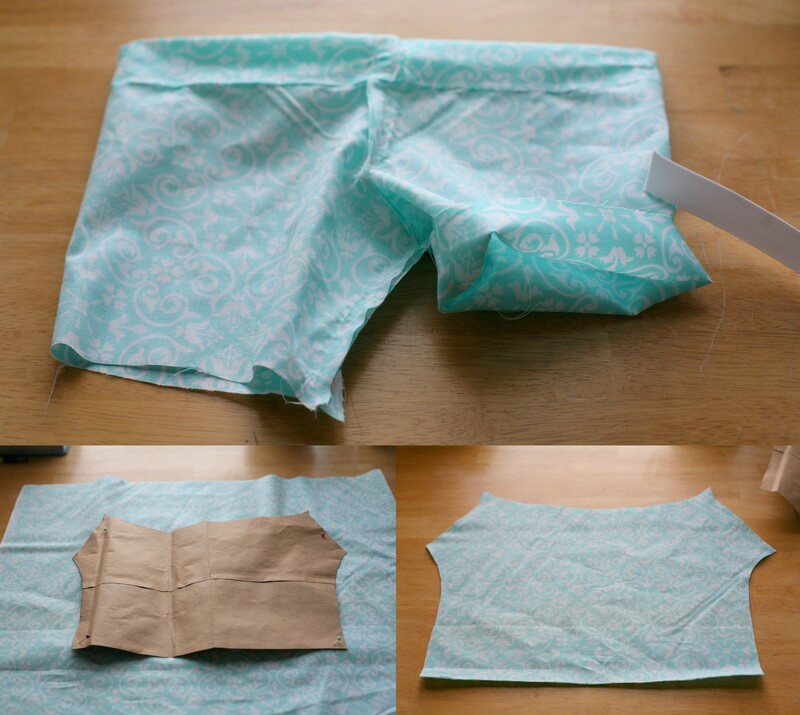 after a quick google search i came across this step-by-step guide on martha stewart’s website (of course) for how to make your own baby bloomers. we have a sewing machine thanks to charlie’s sister, and the instructions seemed pretty easy, so i was excited to at least try … which is saying something considering my interest in anything home-ec-like died the day mrs. lage introduced our 10th grade class to the sewing machine. in order to emphasize just how important it was to stay alert, she told the lighthearted tale of how one of her students wasn’t paying attention and actually managed to sew his own finger, with the needle crushing right down to the bone (to be fair, she knew how to make a point) the story obviously took, because i’m antsy around the machines to this day..
but then, you know the age-old-story. boy meets girl. boy shows girl how to conquer her fears. boy ends up being really good at sewing. boy is really, really, really patient. yes, it was my husband who convinced me that i could start making my own stuff, which is really appealing considering i’m the type of person who will come across an article of clothing that i like but could really love if only i could make a few changes. and when faced with the prospect of dressing a baby girl, the idea became more and more appealing as soon as i realized how hard it is to find clothes that don’t have an animal applique or the words “cutie” stitched across the front. i’m so happy with how these turned out. the whole project cost just under $15 in materials (we bought enough fabric for three pairs) i can’t wait to try something else.